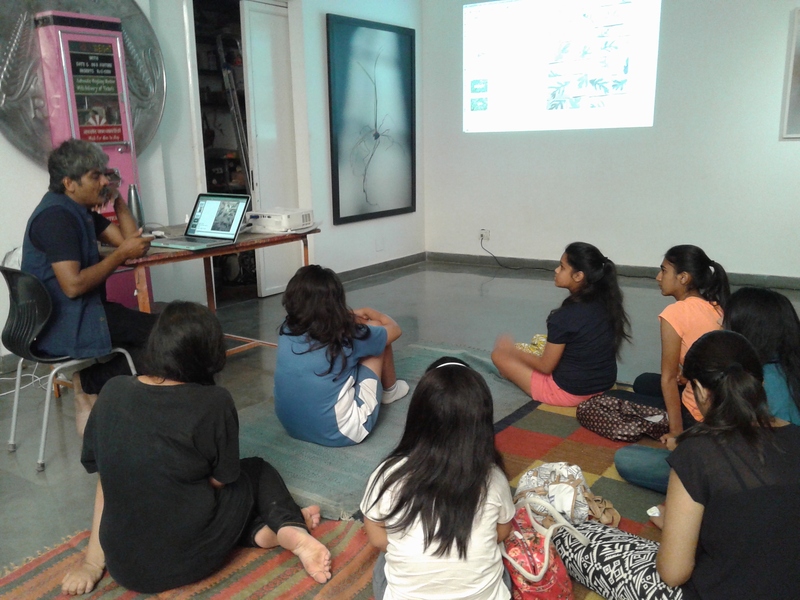 Equipped with environmental concerns and manifesting the same through art and its boundless metaphorical language, students in this session advocated the same under the mentorship of Arun Kumar HG. 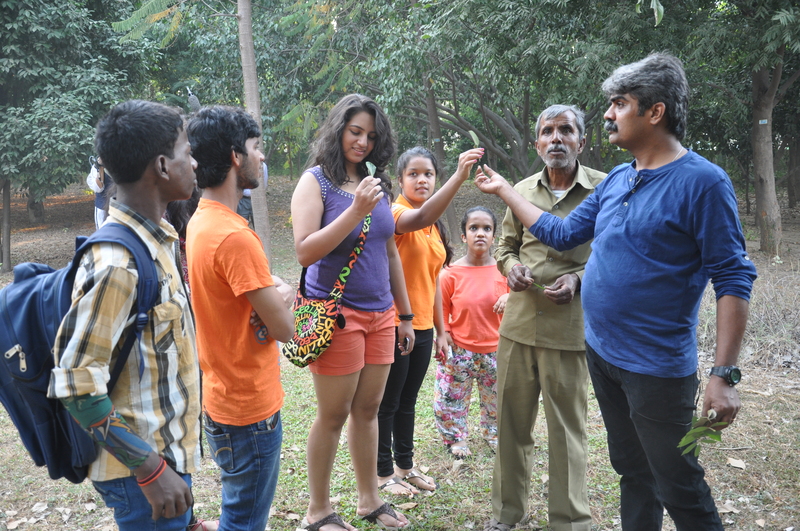 A noted environmental artist, Arun Kumar HG took this group of students under his wings to resonate his philosophy in their minds. The artist then showed them his stellar collection of works on display at his studio, which gave the students a heightened understanding of his genre of work. Sculpted toys to sugar-cube landscapes to photographs to works with waste materials, Arun Kumar HG made inroads into the minds of the students through his awareness on the environmental issue. 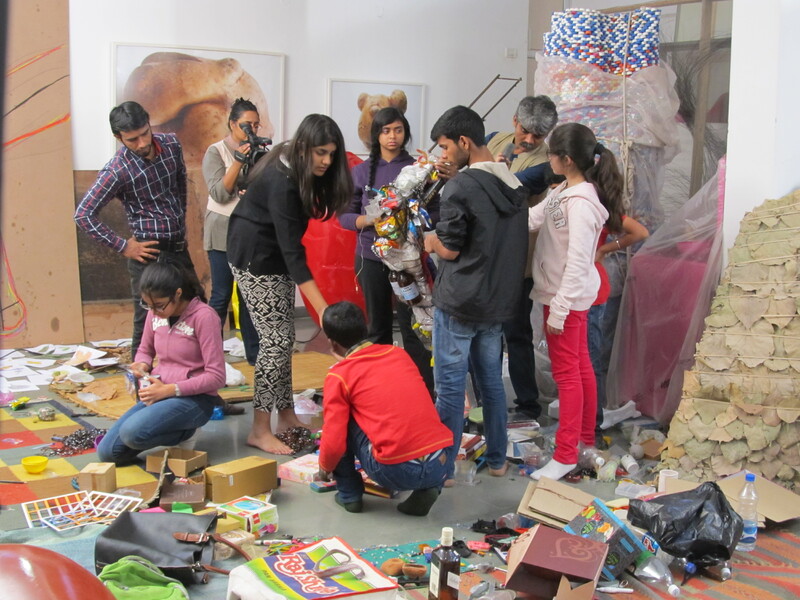 To enable them to get a ground reality and first-hand experience of interacting with nature and the environment, the artist took them to Tao Devi Lala Biodiversity and Botanical Park in the heart of Gurgaon. This gave them a hands-on tryst with the idea of engaging with nature at large. They picked leaves and twigs that fascinated them back to the artist studio along with the waste material which they individually brought from their homes. Back in the studio, the students rummaged through the material, after much deliberations they arrived at the consensus of raising a symbolic leg adorned with waste matter arranged in the degree of most harmful to least harmful. The leg was visualized as trampling Mother Nature in a way that is symbolic with the way the waste products were stacked on the humungous leg. It became synonymous with the pain and anguish inflicted on nature by the human race. As Kaasvi summed her experience saying “I have learned from him that one should never waste things or throw them away, we should instead try and use them as a part of our life”.